These knives have a very sizable blade coming in at 3.5 inches of length, but they’re nice and narrow. This makes them feel more precise than many modern, broad-bladed folders. The materials can be quite nice as well and these make great gentleman’s or even executive knives. 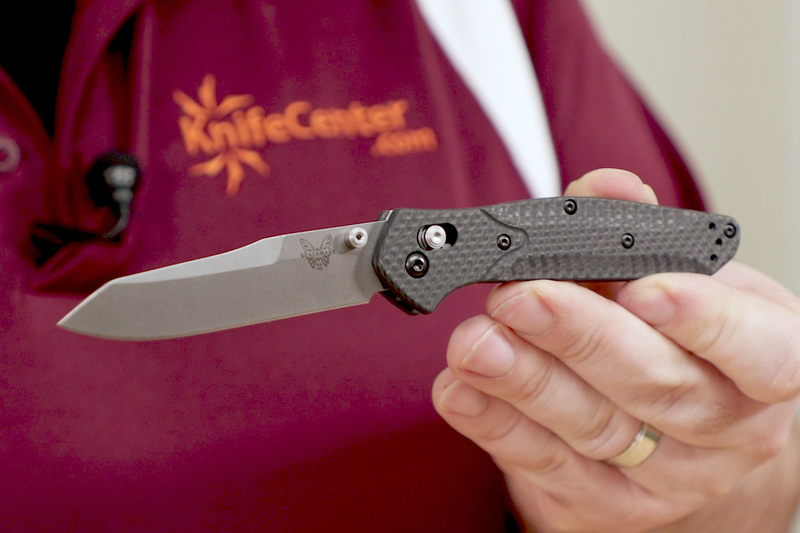 The 940 features what Benchmade calls a modified reverse Tanto profile. 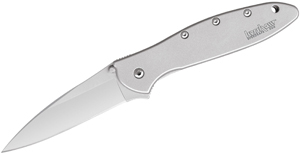 The edge profile is still nice and usable for everyday utility even though the blade shape is very dramatic. 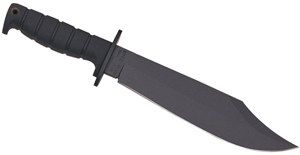 The steel starts with S30V on this knife although we do get some upgraded versions as well. Included in the line is the 943 model which trades that tanto profile for a very acute clip point blade, making it a great option for an executive knife with a more precise tip and elegant profile. The blades on these knives also offer plenty of options. You can either get a black coated finish or a satin finish, as well as either plain-edge blades or partially serrated combo-edges. 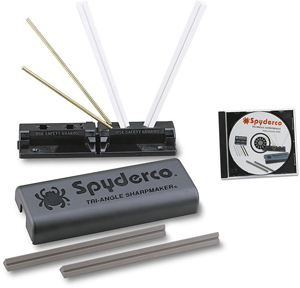 The standard aluminum handles are sculpted very nicely with a shape that nests in your hand quite well. A benefit of that slim profile is that the knife doesn’t take up a lot of room in your pocket with a reversible clip that enables tip-up carry on either side. These knives feature a closed back construction and the 943 comes stock with black anodized aluminum and a ridged blue backspacer which is inset just a little bit so that you don’t get any hot spots. 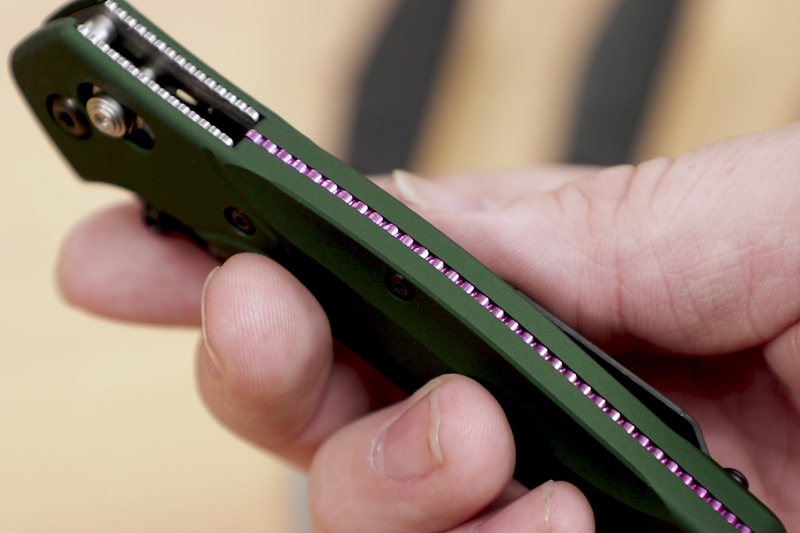 The 940, on the other hand, comes with green anodized aluminum and a purple back spacer. 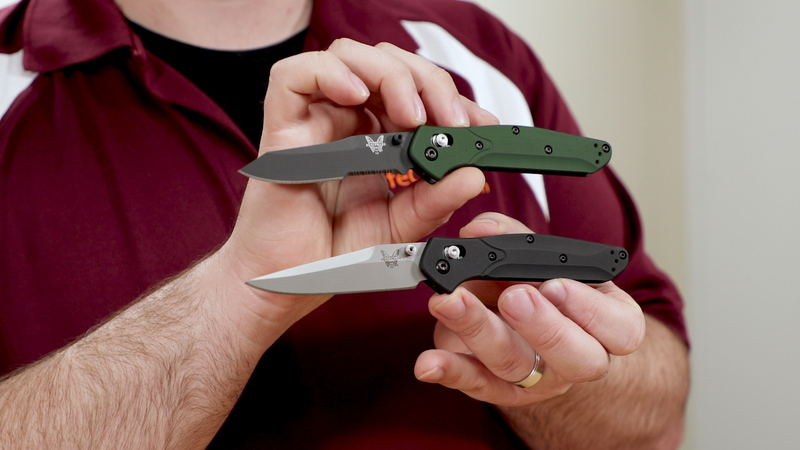 The 940 also gets a few upgraded options that the 943 doesn’t get. 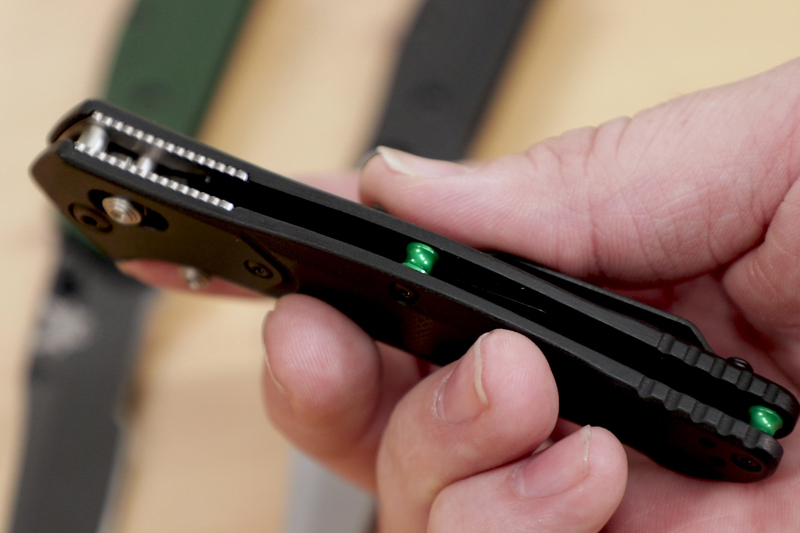 The 940-2 trades the aluminum duds for open-backed G10 for a more working-like aesthetic and we get green anodized spacers to provide a nice pop of color. This type of construction can be a little bit easier to clean out as well, using either compressed air or a rinse under a faucet to clear debris from the frame. The best version right now, however, is the 940-1. First, we get an upgrade to carbon fiber scales and it switches to open back construction as well, with blue anodized spacers for contrast. Not only does the 940-1 provide a classier look, it is going to perform better too because we also get stonewashed S90V steel that provides an insane amount of edge retention. Furthermore, because of that carbon fiber, this knife is even lighter than the aluminum versions and will truly disappear in your pocket. 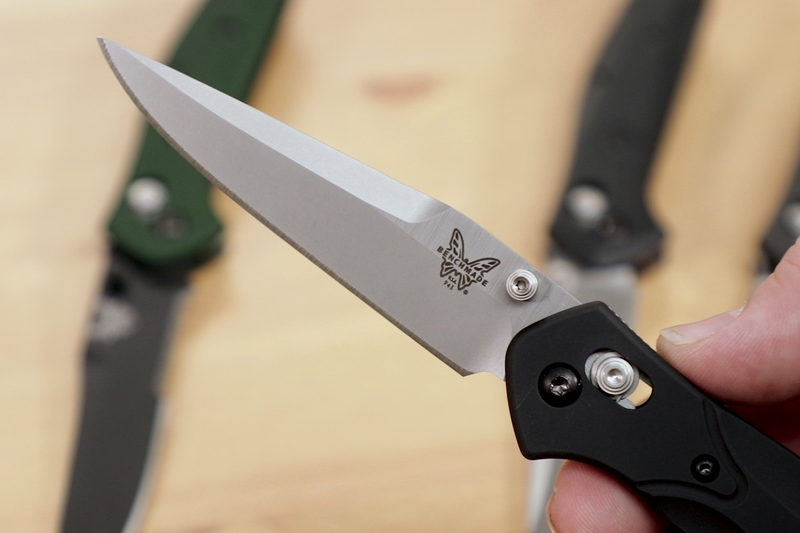 At the heart of this knife is Benchmade’s signature Axis lock. Not only does this mechanism provide secure lockup, but it is also truly ambidextrous because the lock bar goes all the way through the handles and is accessible from both sides. 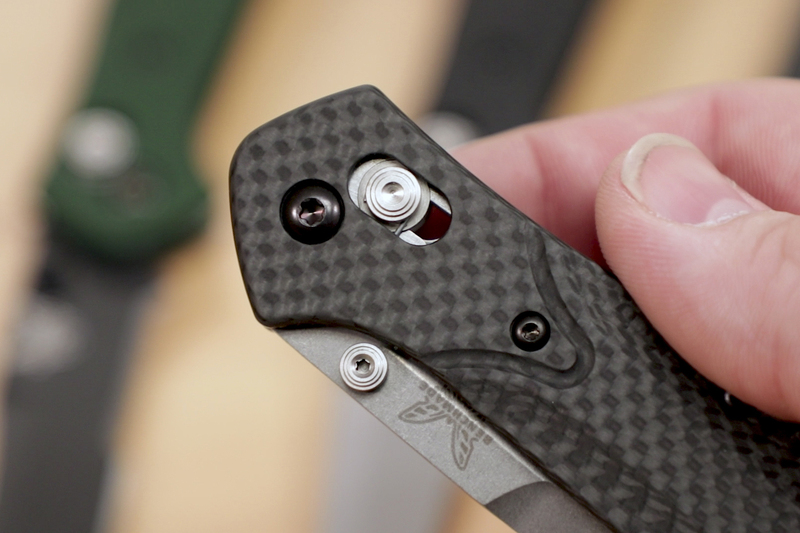 The Axis lock also allows you to keep your fingers out of the path of the blade when actuating it which is a nice safety measure. Inherent with this lock is a very smooth pivot which facilitates quick opening either with the dual thumb studs or by holding the lock bar out of the way and giving it some wrist action to flip open or closed. This is only one of the great designs that Warren Osborn came up with over the years but we think it’s also one of the best. 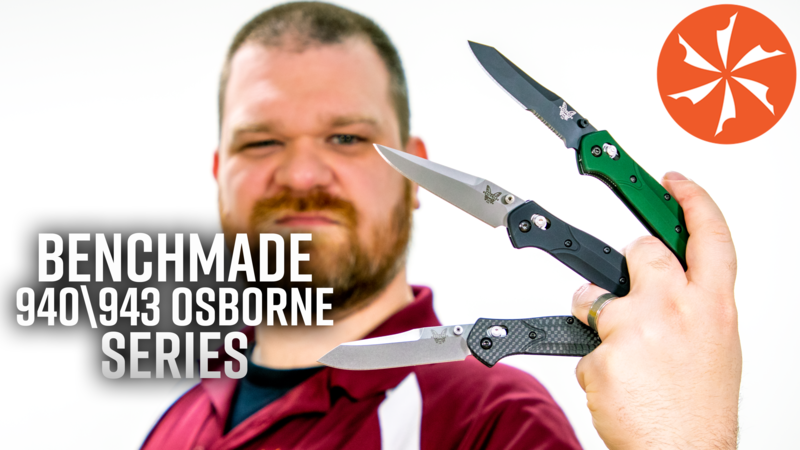 We are glad it is still in production as an enduring tribute to his legacy and Benchmade does it justice with great build quality and American-made pride. To get your hands on one of these knives click here to head on over to KnifeCenter.com.